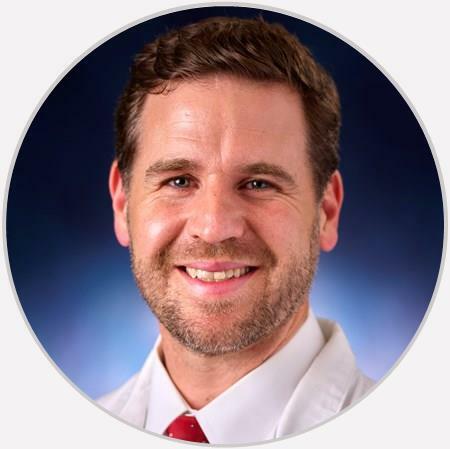 Dr. Brad Dunkin is a board-certified and fellowship-trained orthopaedic surgeon. He specializes in sports medicine injuries and treatment of complex knee and shoulder problems in the athlete and non-athlete. Kind and very caring. This goes for the staff as well. A very positive visit!! Dr. Dunkin listens, is patient and sensitive. Very caring and kind. Answered all questions. I had excellent results from my rotator cuff repair done by Dr. Dunkin, basically no pain after the 3rd day after surgery. Dr. Brad Dunkin attended the University of Dayton where he graduated with a Bachelor of Chemical Engineering. He then attended the University of Louisville School of Medicine. After medical school, he completed his orthopaedic surgery residency at the University of Cincinnati. Dr. Dunkin completed a one year fellowship in Sports Medicine at the University of Kentucky. He provided collegiate level football team coverage for the University of Kentucky and Eastern Kentucky University. He has also provided team coverage for a wide spectrum of collegiate sports. He is currently the team physician for Waggener High School. Dr. Dunkin specializes in sports medicine injuries and treatment of complex knee and shoulder problems in the athlete and non-athlete. This includes advanced techniques in arthroscopic surgery, ligament and cartilage reconstructive surgery, joint replacement, as well as nonsurgical treatment and rehabilitation. He received the "Top Doctor" award by The Louisville Magazine in 2015. Dr. Dunkin is married and enjoys spending time with his children.